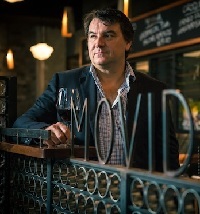 Simon has worked as a restaurant critic for nearly 20 years, including six editions as co-editor of The Sydney Morning Herald Good Food Guide. In a past life, Simon wandered the world, working as a chef and waiter before deciding he wields a pen better than a knife. That led to him buying a newspaper in northern NSW, aged 28, before selling it to APN News & Media 15 years later. During that period, Simon served on regional development panels and was a councillor on the industry lobby group Australian Business Ltd (now the NSW Business Chamber), chairing its environment committee during the Kyoto agreement era. As executive life editor at Business Insider, his job is to help you find the best ways to spend the money the rest of the BI team shows you how to make. Simon’s wife calls him the World’s Most Sustainable Fisherman because, despite wetting a line regularly, he takes nothing from the sea.